OUR PRICE: $25.50 - Join Rewards Get $1 Dance Dollars On This Item! A lightweight and stylish studio bag that organizes and carries all of a dancer's necessities. 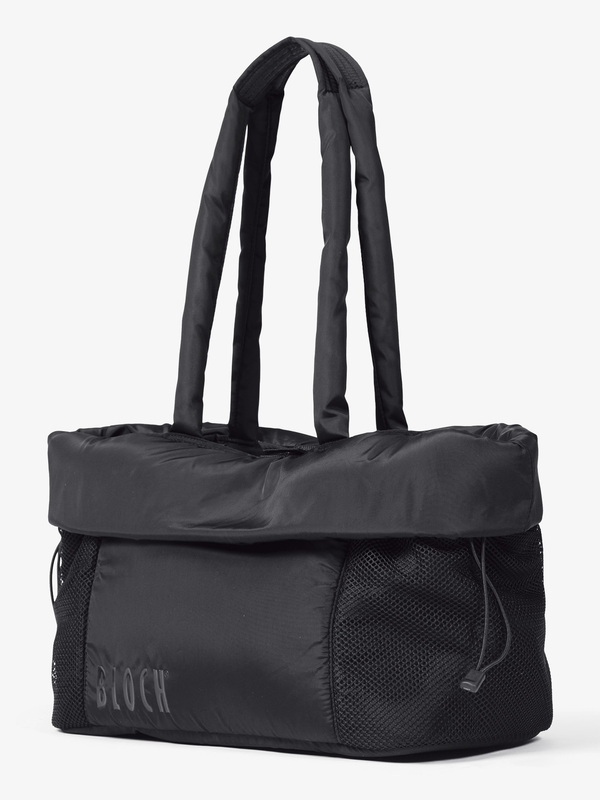 Our favorite feature is the three inch top flap that can fold up or down to customize the size of the bag for the different needs of everyday life. 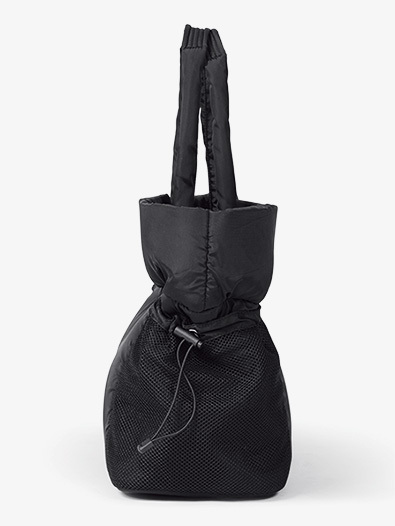 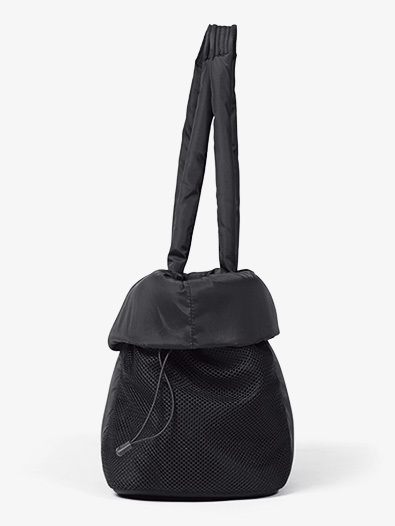 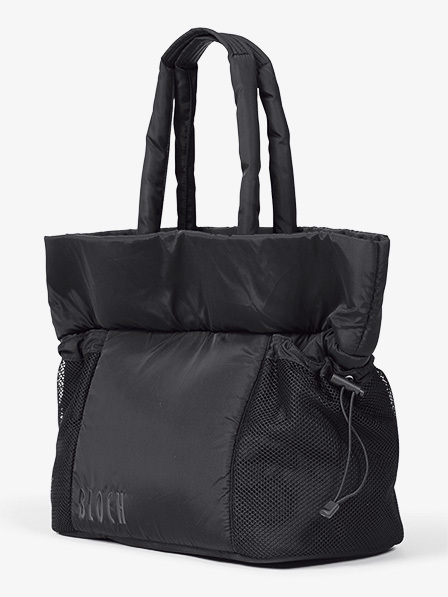 Other features include: a non-slip shoulder strap, lightweight material, a separate compartment for dirty clothes, inside zipper pocket and two open pockets, snap closure, two mesh breathable shoe pockets with elastic pull cord on exterior of bag, and a raised BLOCH logo in black on the outside. According to the manufacturer site, the dimensions of this bag are 14"H X 20"W X 8"D.